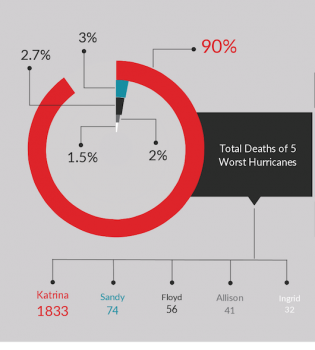 Can The Bolt Strike Again? It’s what everyone around the world is wondering right now. 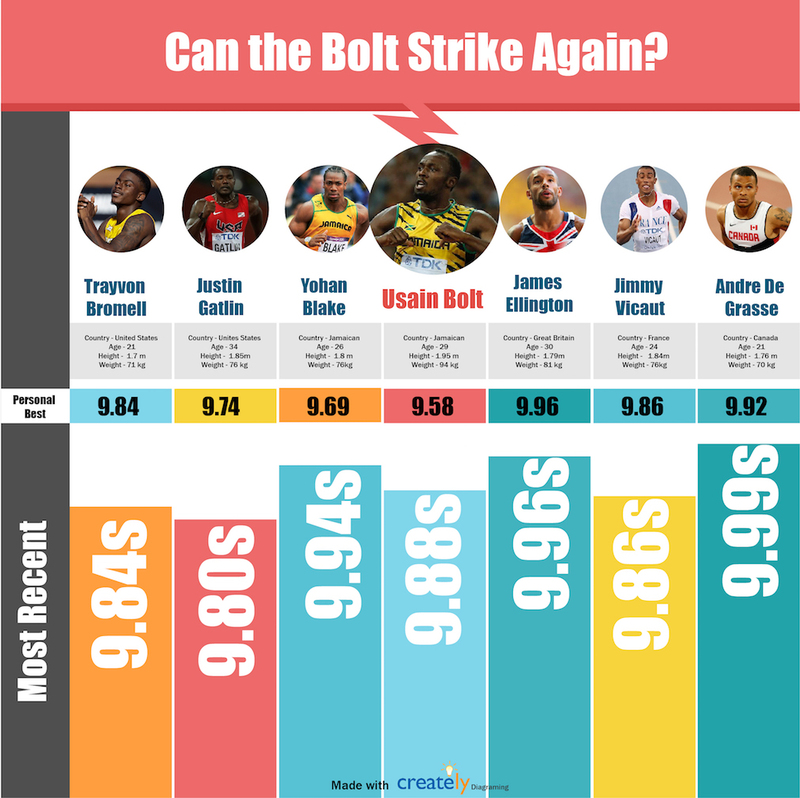 This infographic will let you curious souls calculate Bolt’s chances of winning, before the Olympic Men’s 100m Finals on 15th of August! With a personal best of 9.58s, the Jamaican sprinter has been holding the World’s Fastest Man title since 2008,which was when he broke the Olympic 100m world record in 9.69s at Beijing Olympics. At London Olympics 2012, he retained his Olympic 100m title, with a stunning performance of 9.63s. Since 2012, his performance however has decreased, with 9.88s (at Jamaica’s Racers Grand Prix) being his most recent speed. He was withdrawn from the 2016 Olympic Trials held in July in Jamaica due to a hamstring injury. However, he clocked a 10.04s to win the first semi-final against Yohan Blake (Jamaica). Despite the hamstring injury Blake suffered earlier in 2014, which prevented him from playing for nearly one year, he managed to win the 2016 Jamaica Olympic Trials with a speed of 9.95s. Although his performance declined after the injury, by 2016 he has been able to return as a strong opponent to Bolt. Bolt’s predecessor Justin Gatlin (USA), stands out at this year’s Olympic Men’s 100m event, especially after he won Eugene U.S. Olympic Trials in 9.80s, which is recorded as the fastest time this year in the world. After his 4-year doping ban (2006-2009), his performance have improved dramatically; he came in 2nd to Bolt in both 2013 and 2015 World Championships 100m men. Will he win his title back this year from Bolt? We’ll see on the edge of our seats! Other athletes who pose somewhat of a challenge to Bolt are Trayvon Bromell (USA), Andre De Grasse (Canada), Jimmy Vicaut (France) and James Ellington (Great Britain). Bromell, with a personal best of 9.76s, placed second in USA Olympic trials with a performance of 9.94s. De Grasse, Vicaut and Ellington also have given performances throughout the year that certainly put them at Bolt’s heels!